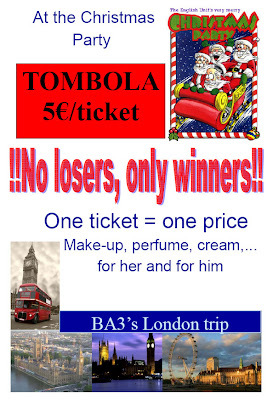 The yearly BA2 presentations on a selection of keywords and icons from different anglophone regions will be held on Tuesday 16 December from 2 to 4 pm in the English Linguistics seminar. 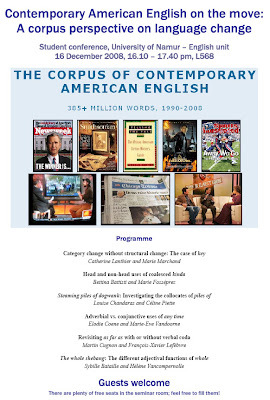 This year's corpus presentations are all based on data from the Corpus of Contemporary American English, compiled by Mark Davies, and investigate recent and ongoing changes in American English from 1990 to the present day. 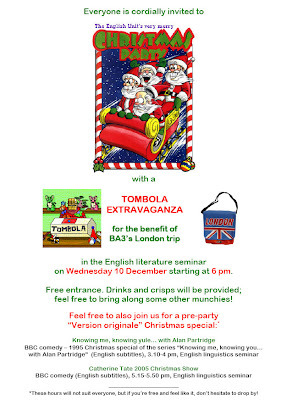 The conference takes place on Tuesday 16 December from 4.10 to 5.40 pm in the English Linguistics seminar. See (some of) you soon at any or all of these events!